Roses are red, violets are blue, pink ivory & mother of pearl joined together just for you! To show a lil extra love, Omerica has etched on the backs LO on one, VE on its mate. Pink Ivory is the wearing wood with a Katalox heart shaped inlay, set with mother of pearl shell. 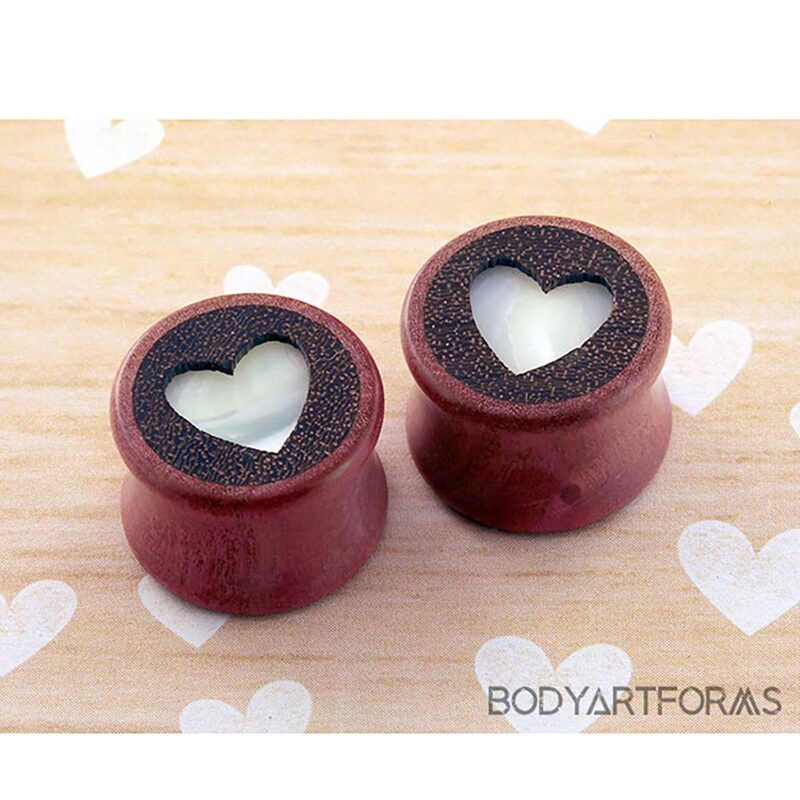 These plugs are finished with plant based, vegan friendly Carnauba Wax. PLEASE NOTE: SPECIAL CARE: This item is made with wood. 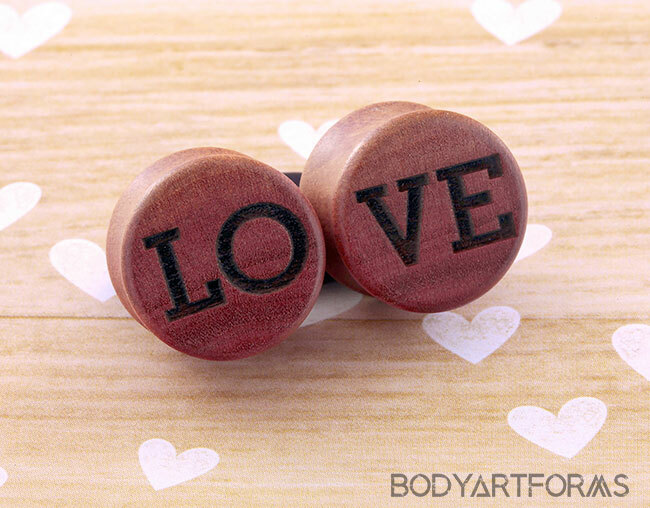 We recommend taking wood jewelry out before showering as water can ruin it.